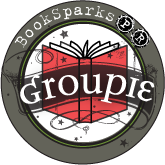 Books with “split” storylines seem to be all the rage right now. Somehow, an author maintains one storyline in the present, while also presenting a tale from the past. Such is the case with Ember Island by Kimberley Freeman. A connection from the present to the past takes the reader on an adventure filled with secrets, lies, and the consequences of bad judgment. The weaker of the two strands is definitely the present. Nina is the author of three historical mysteries about a character named the Widow Wayland. She has been dating her significant other for a while, but that relationship is over and he has taken up with a neighbor, who is now pregnant. Needing a place to retreat to complete her fourth book, Nina decides to go to Ember Island, an island near Australia that was owned by her grandmother, Nell. Though it had previously been the hub for some whale watching tours, the buildings on the island are in need of renovation and repair. Nina hires a local, Joe, to take care of the necessary maintenance. While Joe is working, he finds some papers that belong to Nell, and Nina reads them. Nell describes her childhood and her governess, Matilda (called Tilly). As a child, Tilly lives with her loving grandfather and is the apple of his eye. When her grandfather pushes her into making a match with Jasper, an ambitious businessman, Tilly complies. Though she senses some reserve on Jasper’s part at the wedding, Tilly is happy to be his bride. However, when her grandfather takes ill, Tilly leaves her husband in the Channel Islands to go take care of him. This proves to be a blessing and a curse. She enjoys spending time with her grandfather, but she longs to be with her new husband. Added to the distance away from her husband, she must also endure the knowledge that she will not inherit the estate (women were not permitted to do so). So, Tilly enjoys what time she has with her grandfather until his death. He provides her with gifts and a large sum of money that he knows she will be unable to obtain once her cousin, Godfrey, and his wife take over the estate. When Tilly is finally reunited with her husband, she is appalled by the state of affairs at Lumiere sur la Mer, the estate that she pictured living in with Jasper, is a wreck and most of the furnishings are gone. In addition, Tilly is asked to give up her precious belongings to help pay Jasper’s debts. The final insult is when Jasper desires to have nothing to do with her physically—though they are married. Tilly learns that her husband has a mistress and that she is merely a convenience to him. Through a series of dramatic events, Tilly gains her freedom and heads to Ember Island to be a governess for Nell, who is quite precocious. Her father, Sterling, is the superintendent of the island prison. Tilly begins to develop feelings for him, even as she looks back at her marriage with a sense of guilt and shame. She also befriends a female inmate and spends time bonding with her. It is through this connection that Tilly must come to terms with her past and the decisions that she has made. There are many twists and turns in Ember Island that I don’t want to give away. While I could predict a few, others were great surprises. One such twist was a bit of a “jump the shark” moment and I got a little frustrated. Plot wise, it had to happen, but it seemed forced to me. I found myself not liking Tilly, while at the same time wanting to know what she would do next. The sense of place was well done and I enjoyed reading about the activities on the island, as well as learning about how prisoners were treated on the island. The modern storyline got a rather short shrift, and I found it difficult to care about Nina’s plight as a frustrated author. The romance between her and Joe seemed like it was thrown in but not really developed. Later chapters that upped the drama in her life were largely superfluous to me, since the far greater narrative was about Tilly. 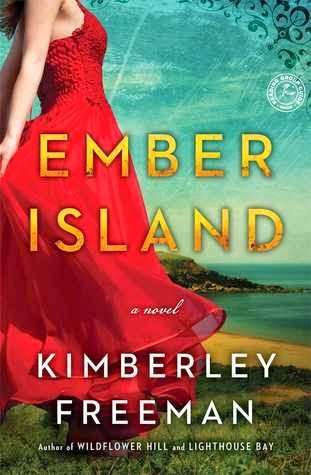 Ember Island is a good way to escape and enjoy a trip to someplace else. The mystery and drama were a bit frustrating but also fun. The turns and surprises of the plot made it a fast and easy read.